Why Are X-Men Fans So Worried? Well, we don't know what exactly is going to happen to the X-Men, but it appears that X-Men fans are worried that they will be replaced with the Inhumans. Why? Because Marvel doesn't have the movie rights to the X-Men, but they do to the Inhumans, so they are ramping up the number of Inhumans there are in the Marvel universe. That's right, two. And there is going to be one more coming soon, Uncanny Inhumans. But that will be three to the X-Men's nine. So why are X-fans worrying? Well, three books starring Inhumans is still three more than a few years ago. The last Inhumans book was a Secret Invasion crossover in 2008. They've had sporadic appearances, but have never been one of the big guns of the Marvel universe. But now, with the unavailability of mutants in the MCU, Marvel is trying to make them into just that. However, the rise of the Inhumans doesn't mean the fall of the X-Men. 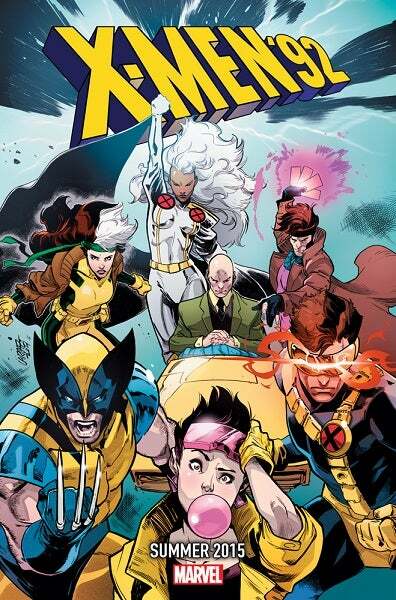 In December, both Spider-Man and the X-Men and All-New X-Men were in the top twenty best-selling comics; the Avengers/X-Men crossover Axis took up three spaces in the top ten (selling around 70,000 issues apiece). It's very clear that even though Marvel can't use them in their movies, the X-Men still make them money through comics. So again, why are X-Men fans worried? Honestly, I don't know. Perhaps the rise in popularity for the Avengers and the Guardians of the Galaxy has instilled a "zero sum game" mentality, where they believe comics/merchandise for one team automatically means less for another. But honestly, there's room for X-Men comics and Avengers comics and Guardians comics. And I highly doubt Marvel will get rid of their mutants anytime soon.